Every Home Security System Package is easily expandable and all the iSmartSafe sensors, accessories, and cameras can be added for complete and customized home security that can grow with. All packages have an easy DIY setup, NO monthly fee, and NO set up costs. The basic package is perfect starting point for any home or apartment. 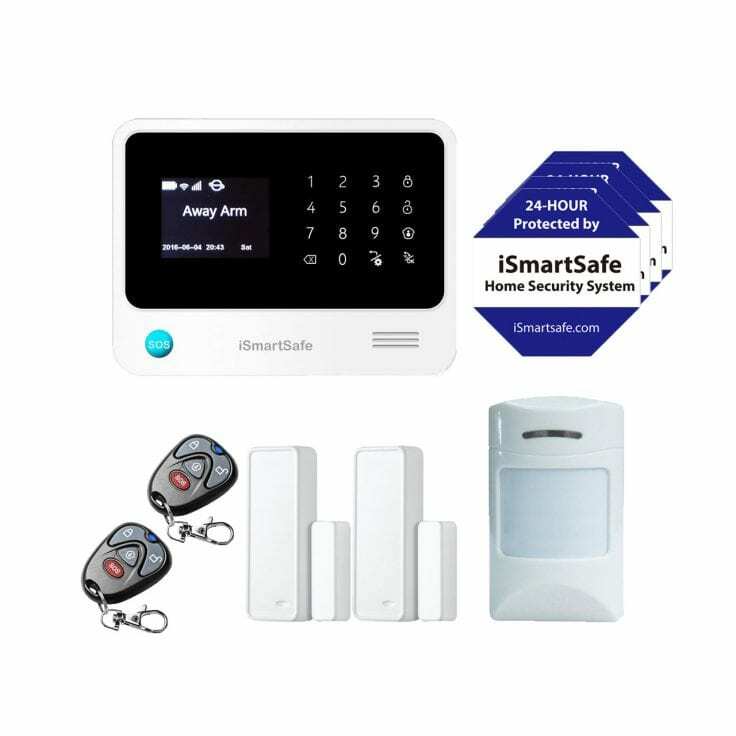 It includes 1 iSmartSafe Alarm Panel, 2 Door Sensors, 1 Motion Detector, 2 Keychain Remote, and 4 iSmartSafe window stickers. By adding a HD and night vision camera, the economy package provides better protection for any home or apartment. 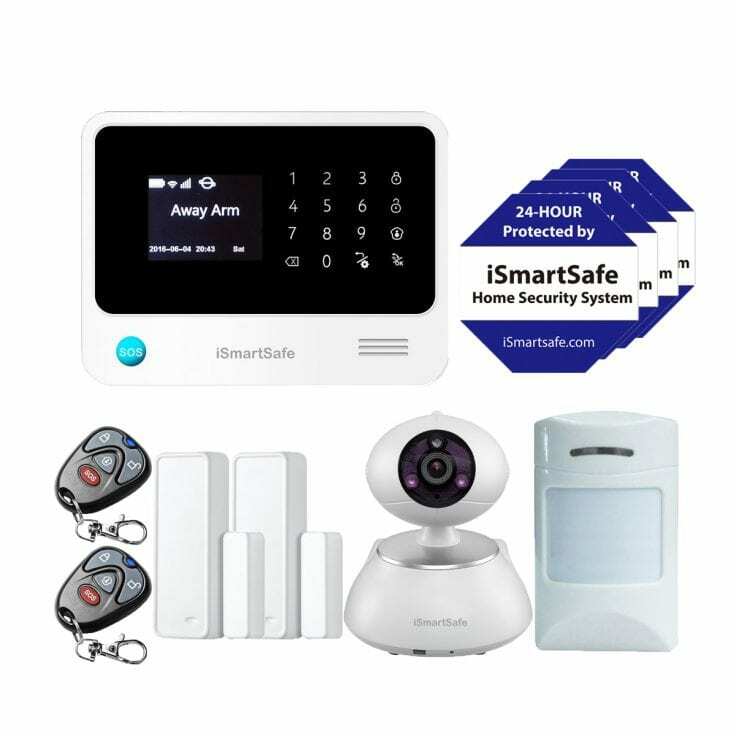 It includes 1 iSmartSafe Alarm Panel, 1 iSmartSafe Indoor Smart Camera, 2 Door Sensors, 1 Motion Detector, 2 Keychain Remote, and 4 iSmartSafe window stickers. The duplex package provides better entry point protection for your home. 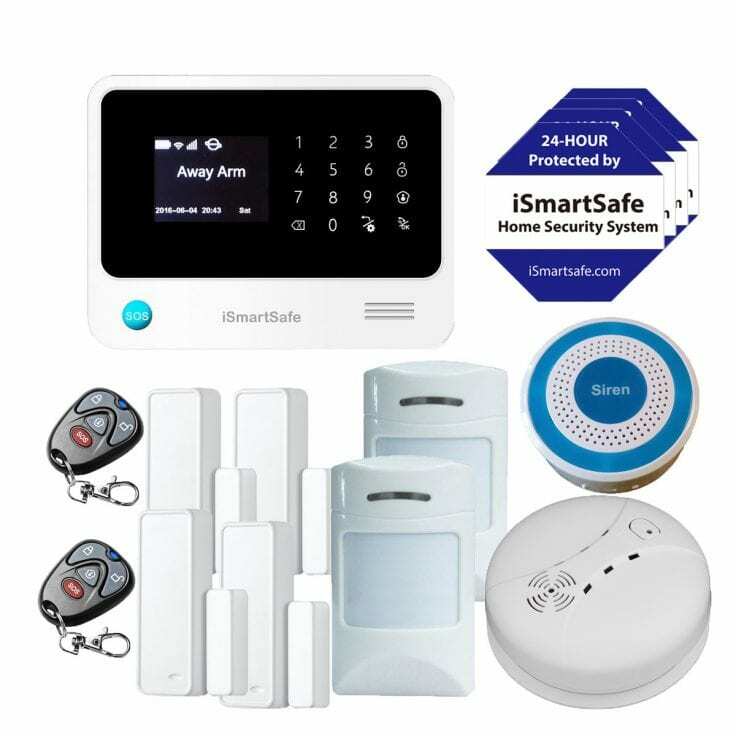 It includes 1 iSmartSafe Alarm Panel, 4 Door Sensors, 2 Motion Detectors, 1 Smoke Detector, 1 Wireless Siren, 2 Keychain Remote, and 4 iSmartSafe window stickers. Comprehensive coverage protection for every door, window, and room in your home. 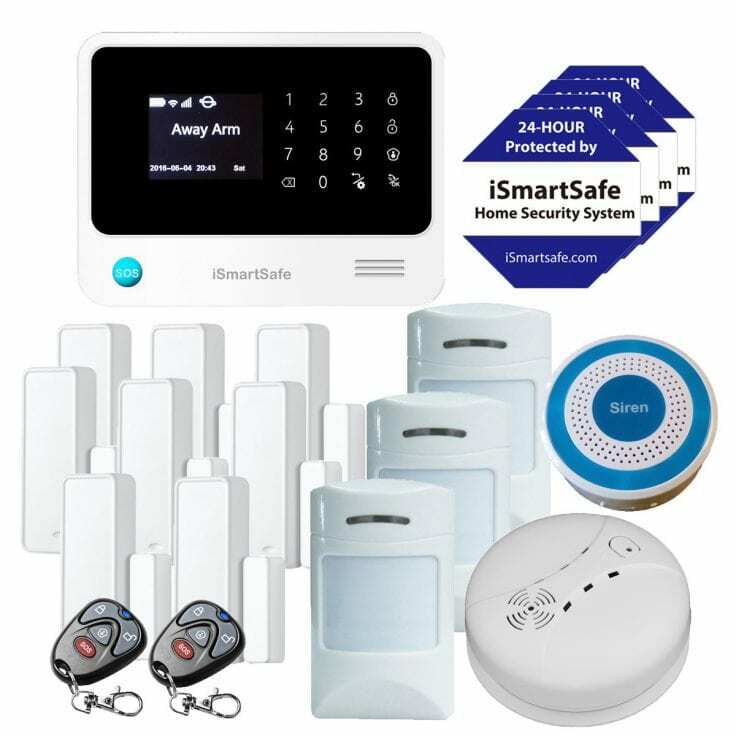 It includes 1 iSmartSafe Alarm Panel, 8 Door sensors, 3 Motion Detectors, 1 Smoke Detector, 1 Wireless Siren, 2 Keychain Remote, and 4 iSmartSafe window stickers. Best coverage and visual protection for your home. 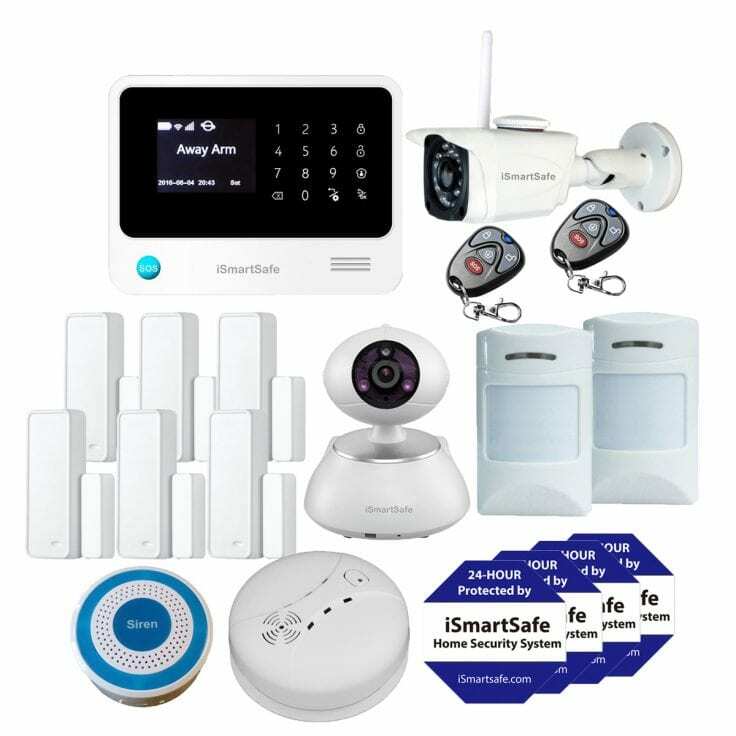 It includes 1 iSmartSafe Alarm Panel, 1 iSmartSafe Indoor Smart Camera, 1 iSmartSafe Outdoor Smart Camera, 6 Door sensors, 2 Motion Detectors, 1 Smoke Detector, 1 Wireless Siren, 2 Keychain Remote, and 4 iSmartSafe window stickers.